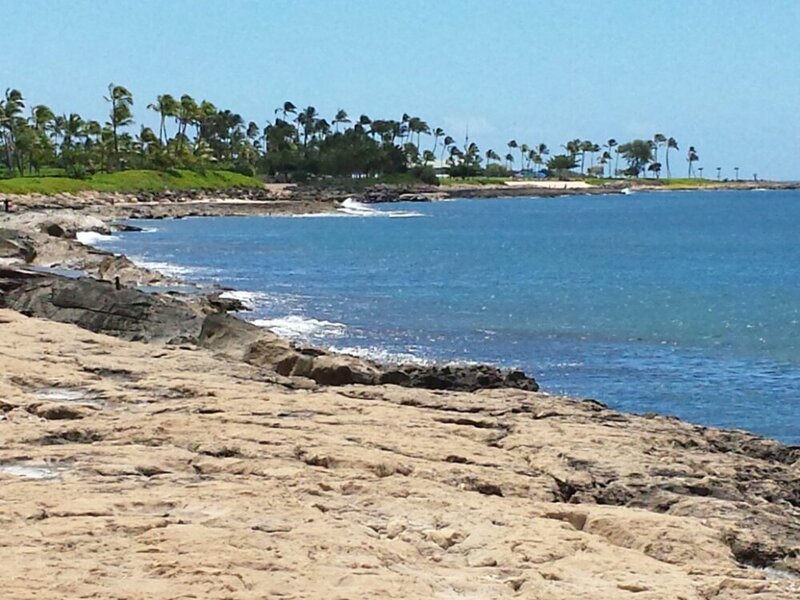 Our last day on the Island before heading back to the mainland. 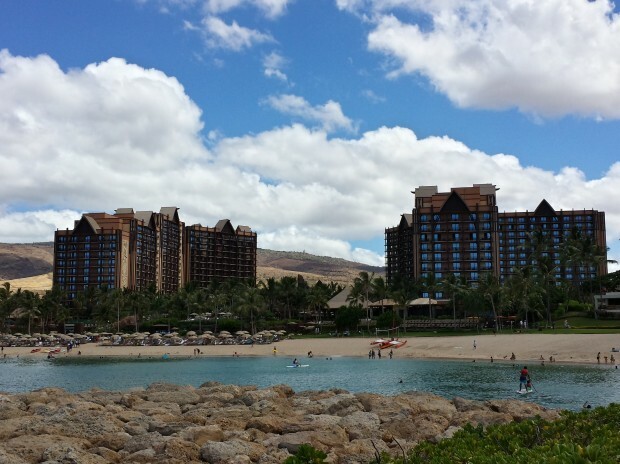 We booked a late flight so we could enjoy Aulani all day long. I started off the morning a little later than I have been since I wanted to do a little packing but I was still roaming around by 7ish. 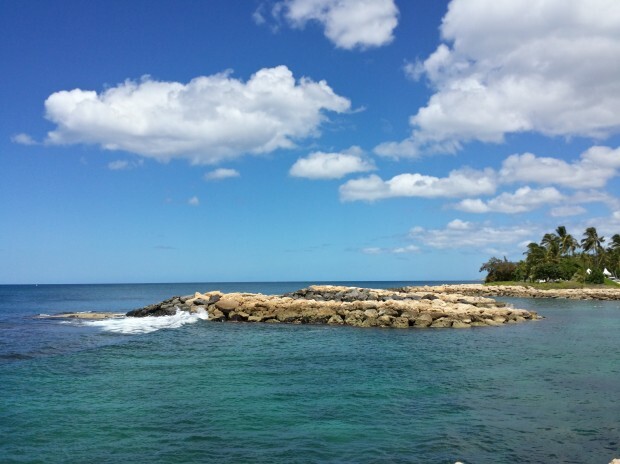 I started off walking by Rainbow Reef. 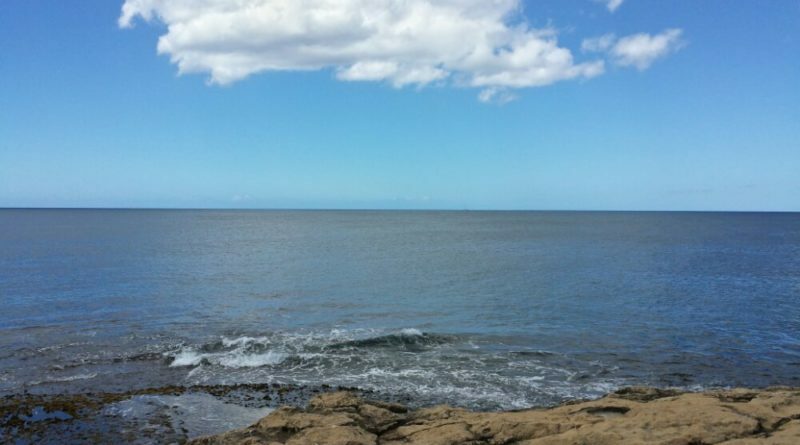 It was a peaceful Sunday morning down by the water. 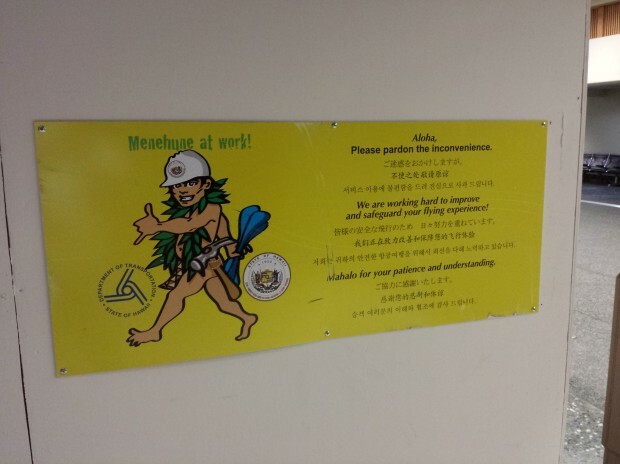 A random Menehune as I was walking around. 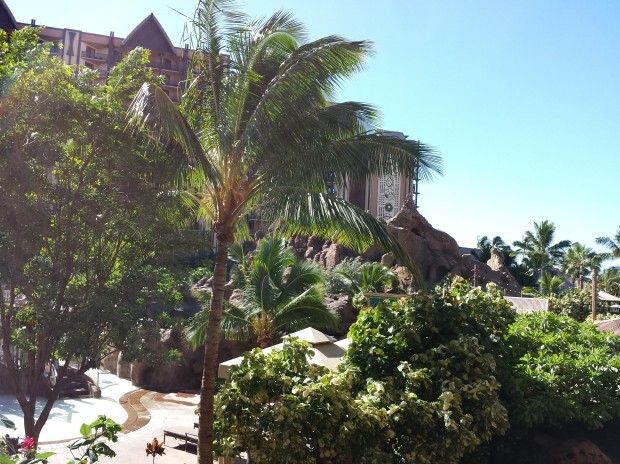 I headed back to the room and enjoyed a some time on our balcony before we had to check out. After dropping our suitcases in the car and carryons/change of clothes in a locker in the late check out lounge it was off to enjoy the resort for the rest of the day. 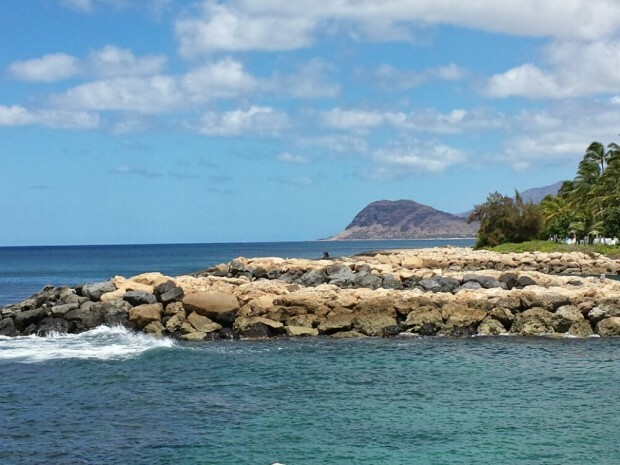 A look out to the lagoon over the fire pit. I checked in on the expansion work and there were crews working away, even though it was a Sunday on the holiday weekend. 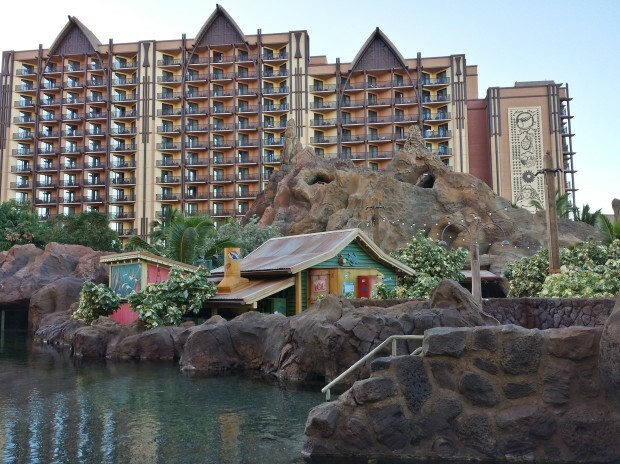 I then headed across the lagoon to shoot some pictures looking back at Aulani. Here is one on the way out. 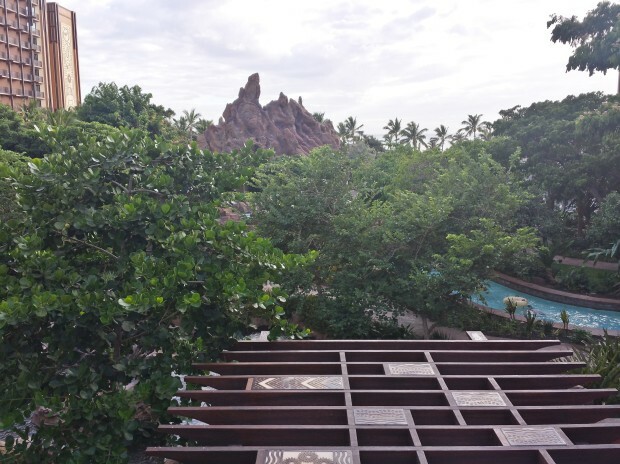 The shadows were a bit tough this morning, but here is looking back at Aulani. I hung around on the rocks for a while watching the waves and taking some pictures. By the time I was ready to go back the clouds/lighting had changed a bit. One last look at Aulani from this side of the lagoon. Once back we grabbed some lunch then decided to stop by the Disney Vacation Club open house. They had a two bedroom villa open on the 10th floor to explore. I took a bunch of pictures with the SLR camera and will post in a later update. For now a couple off the balcony overlooking the Waikolohe Valley. Interesting note this room was right above ours.. we were on the 2nd floor (pool view) and this was the 10th. “Our” studio made up the second bedroom of the villa. 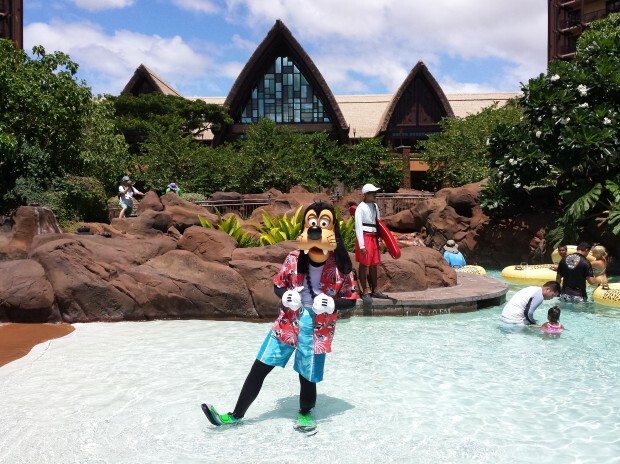 While walking through the Valley spotted Goofy by the pool with a short line, so stopped to grab a picture. 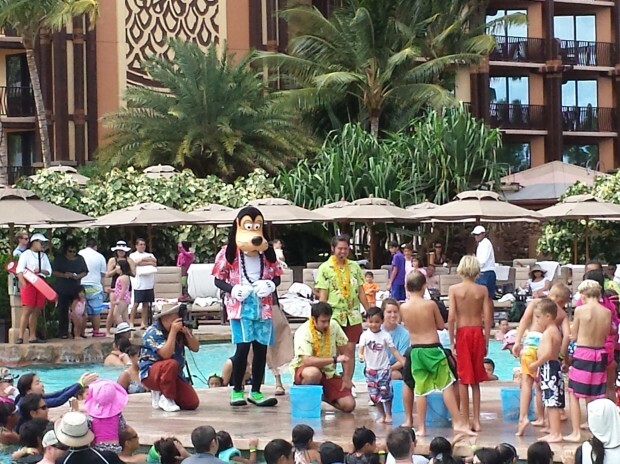 There were quite a few cast members around the pool to keep the event moving and two leading the party activities. Mickey joined in the fun. 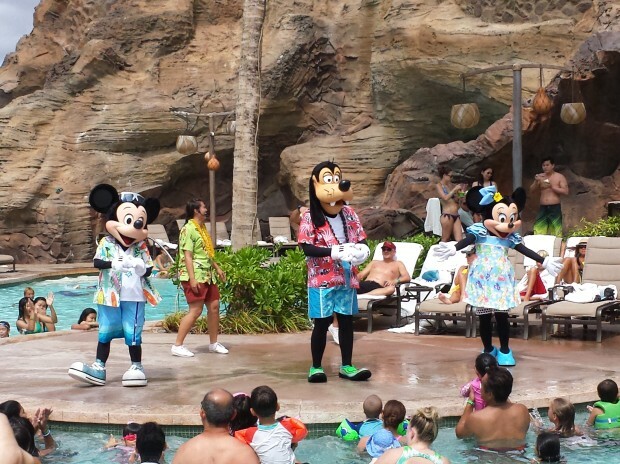 Mickey went to the far side of the pool for pictures then Minnie came out, did a dance number and then went to an area for pictures too. Goofy was next up. For the finale all three characters did a short dance number on the pool deck. After the party we hung around the pool area a bit then headed for the lobby at 3:45 for the Aloha, Welcome to Aulani (I know odd to go see the welcome event the last day but the timing had not worked out the other days). The event featured a single storyteller (same one that did the fire pit last night) who came out and greeted everyone then explained the artwork lining the lobby and talked about the valley beyond including the resorts amenities. I did one last walk around the Valley. They were testing the new pool areas kids water feature. 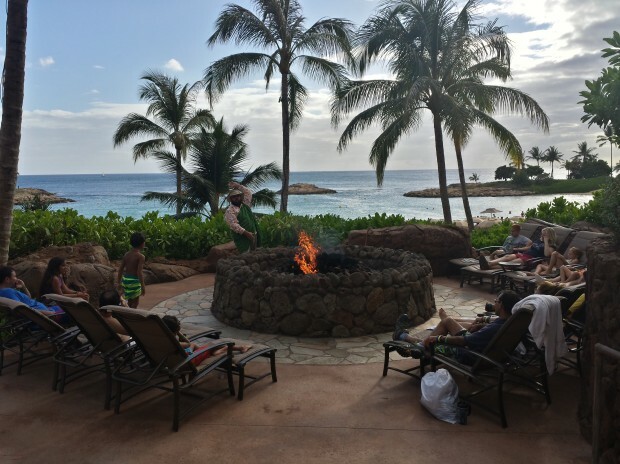 I walked by the Fire Pit as a Menehune story was being told. One last look at the Waikolohe Valley as I passed through the lobby on the way to the car to head out. Stopped for dinner on the way to the airport then dropped the rental car and boarded a shuttle to the terminal. They are working on expanding/modernizing the airport. 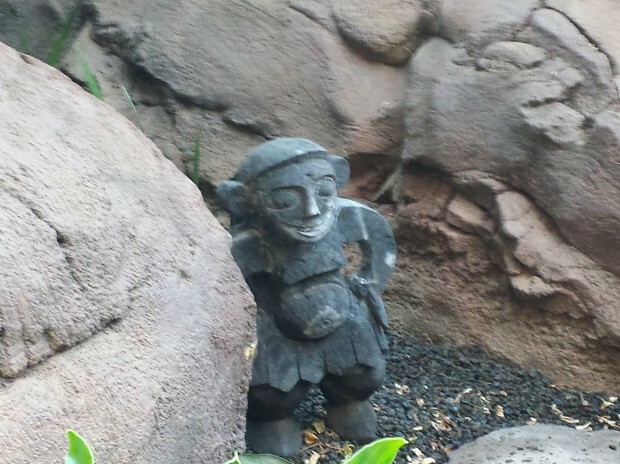 Here is a picture of the Menehune (a little different than Aulani’s). Our flight left just before 10pm and we arrived at LAX around 6:00am. It was great driving home on a holiday Monday morning. This wraps up my daily recaps. Thanks for following along. 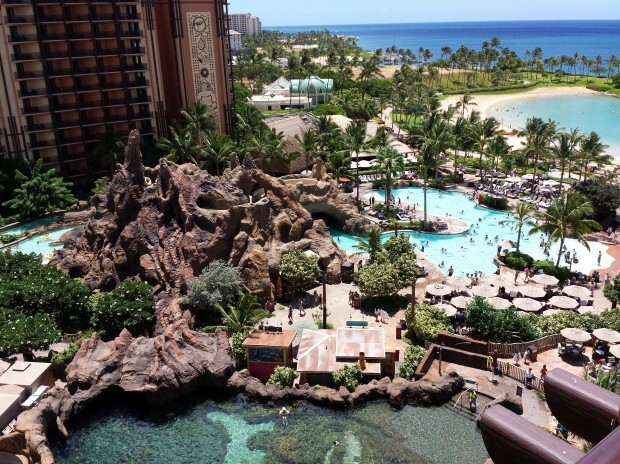 Look for dedicated photo sections coming over the next several days/weeks taking a more in depth look at Aulani and Hawaii. 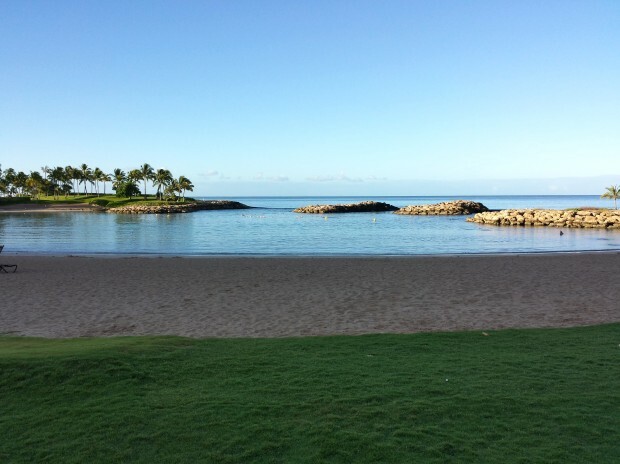 We booked a late flight home so we could enjoy almost a full day at Aulani and on the Island before returning. 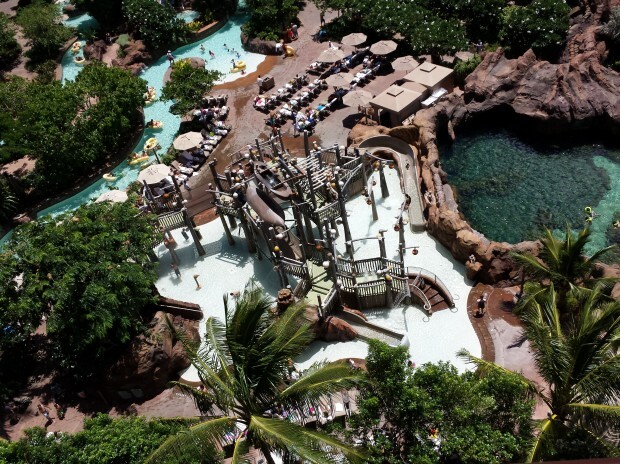 Aulani has a late check out lounge that features lockers, shows, couches, and even a machine to help with your wet bathing suit. We managed to get one of the last lockers. There were a lot of guests checking out on Sunday. 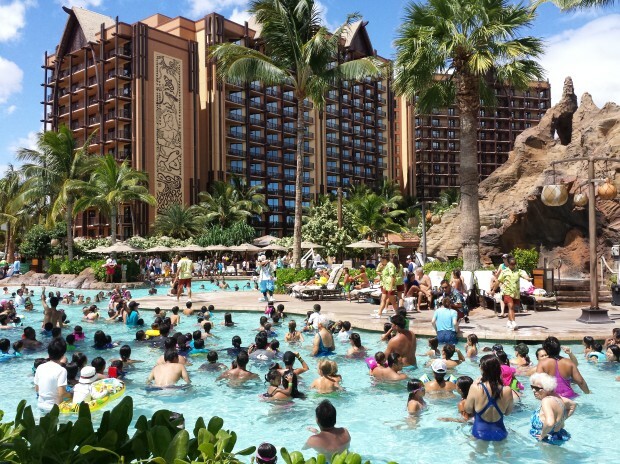 I overheard some cast members talking and between Sunday/Monday they were expecting the largest number of rooms to check out in that short of period of time in the resorts history. 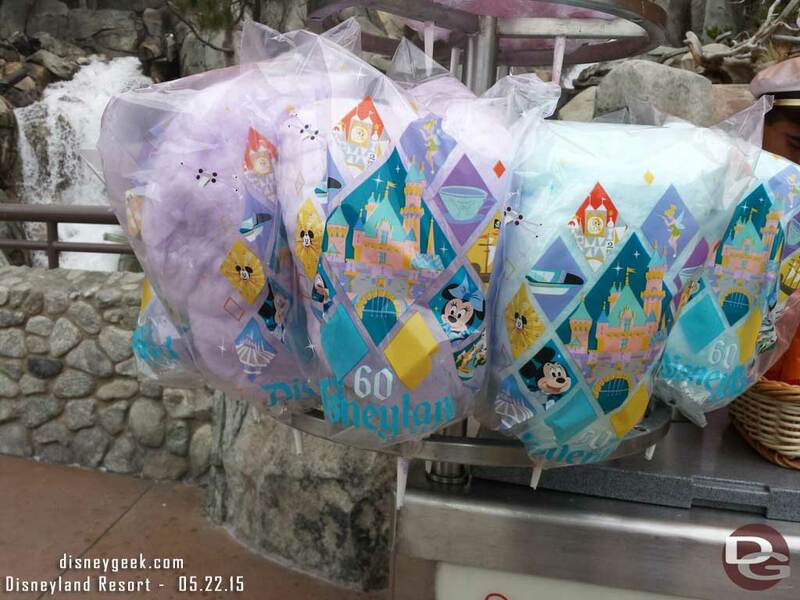 Again nothing verified here.. it was overheard at a Cast Member briefing. 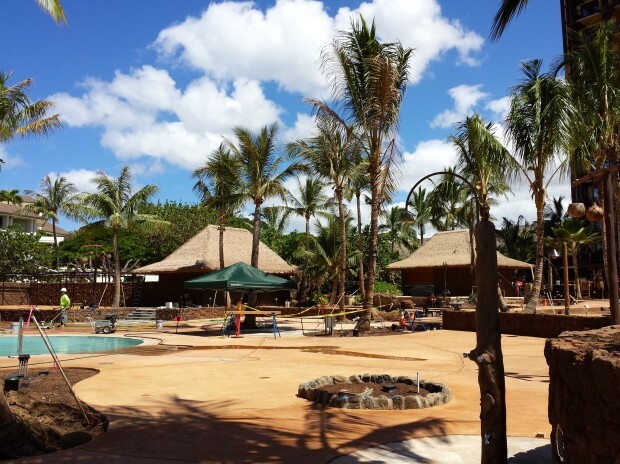 The facilities was great to have available at no extra cost and quite a few guests were taking advantage of it. We stopped by the Disney Vacation Club open house which was in a two bedroom villa on the 10th floor. You could visit the sales office and make an appointment or you could just drop by. I opted to just drop by and see the room. 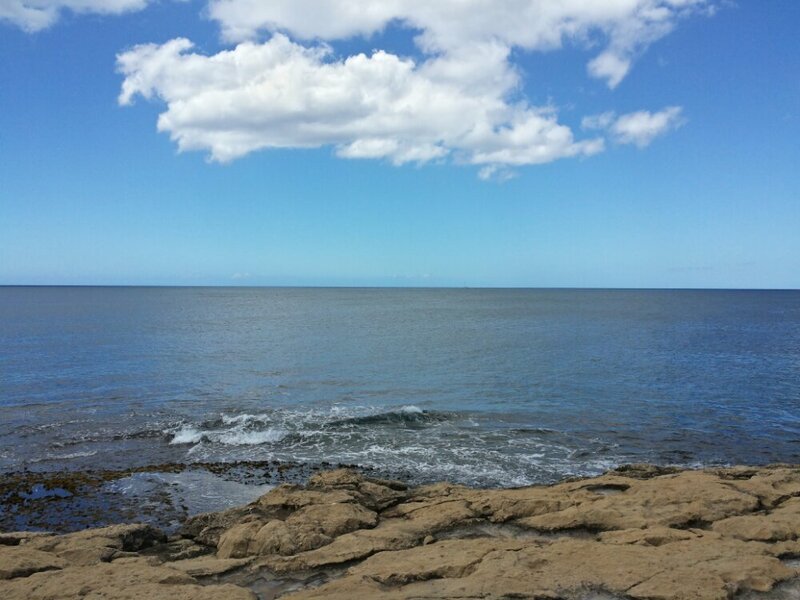 The view was incredible. I thought the view from there was better than the 16th floor.. since you were not looking down as much. The room was a typical DVC villa layout, with some unique Aulani touches, for example they feature a rice cooker because of the number of asian guests. I would recommend stopping by to see the room. The cast members were great and it was not a hard sell/timeshare environment. Today I finally managed to get a picture of Goofy and I even stumbled upon Stitch out in the valley (first time this trip I saw him). I stopped by the Shake-A-Shaka Pool party in the mid afternoon. It drew a good size crowd of guests both in the water as well as on the pool deck. The party consisted of two CMs leading several activities/games/dances and probably close to a dozen others around the pool area leading the activities. Mickey, Minnie, and Goofy participated too. There were also several PhotoPass photographers both in and out of the water taking pictures too. I thought this was a great event. The kids participating seemed to be having a blast and those of us gathered around had a good time too. I was kind of surprised they did not have build in audio and had to bring temporary speakers out for the event. 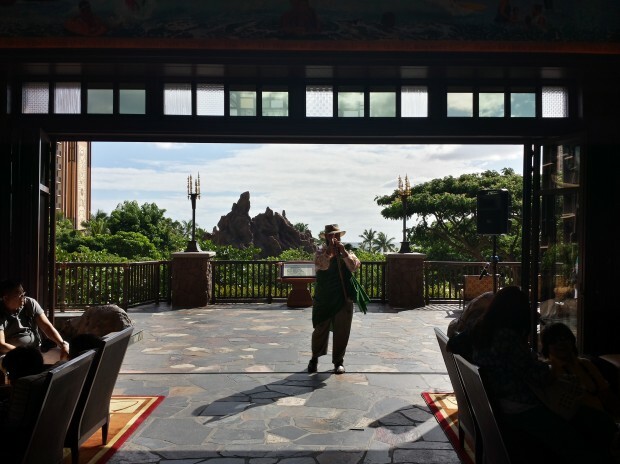 I stopped by the lobby and finally caught the Aloha, Welcome to Aulani event.. odd that is one of the things I saw. I would recommend seeing it at the beginning of your trip. 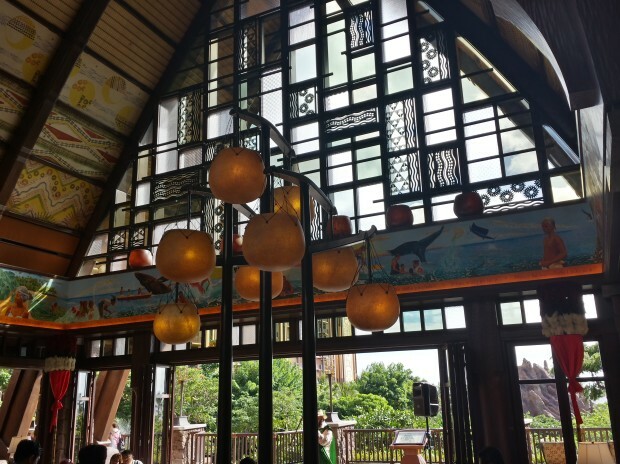 The host points out some of the features of Aulani as well as a quick orientation/tour of the lobby artwork and valley beyond. I walked by while the fire pit storytelling was going on. It had a good size crowd, and even though it was still daylight the fire looked good, not as impressive as at night but it worked. 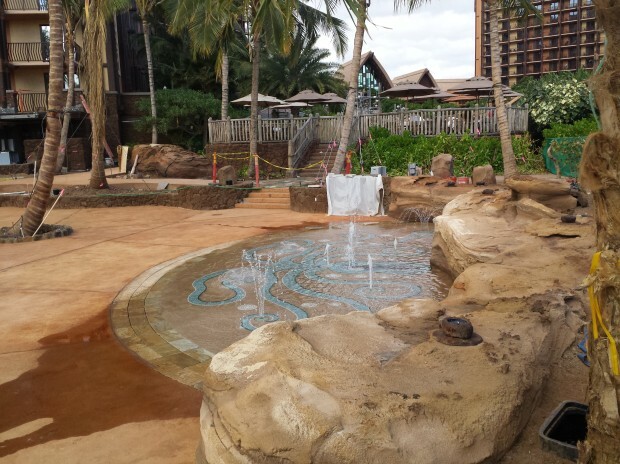 This wrapped up my Aulani trip. 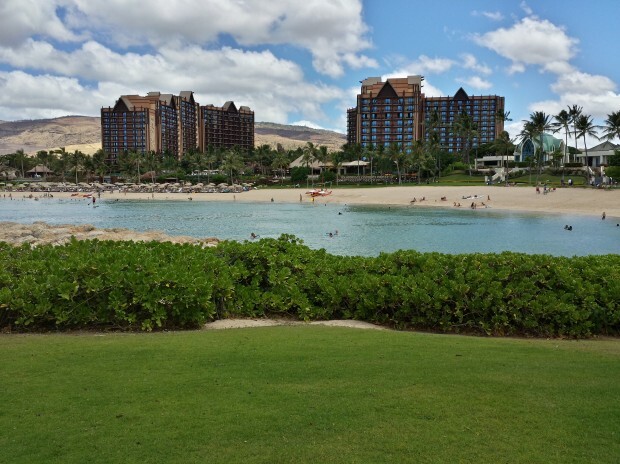 It was a great five nights/six days and I really enjoyed the resort. 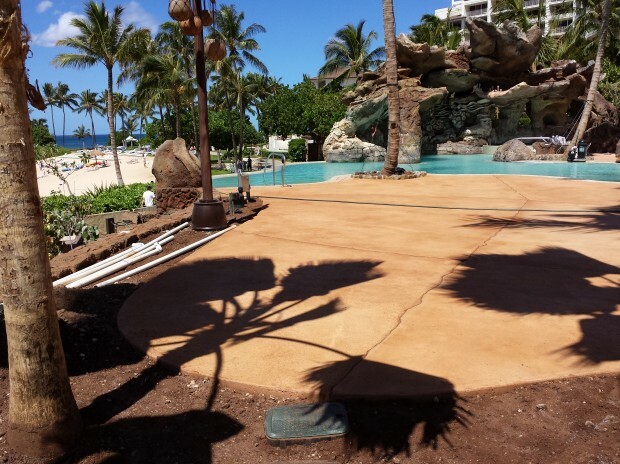 I will be writing more and posting dedicated pictorial sections taking a closer look at different parts of the resort as well as some other pictures from the trip. 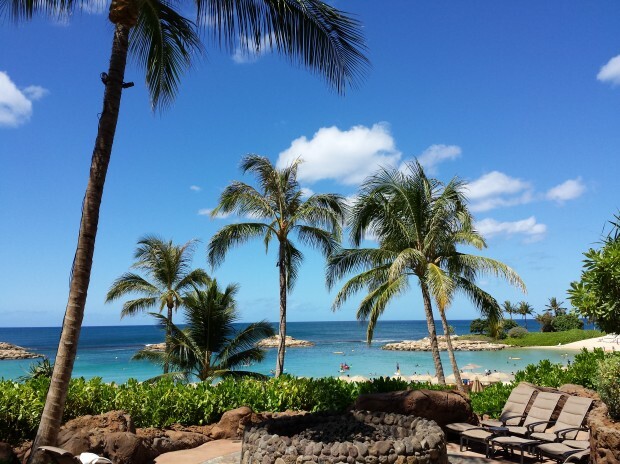 Be sure to visit my 2013 Aulani Trip summary page for a full listing.